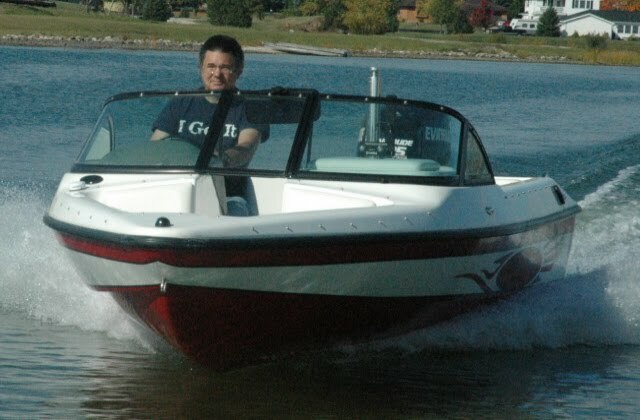 Dyna-Ski Boats are great all around water ski boats. 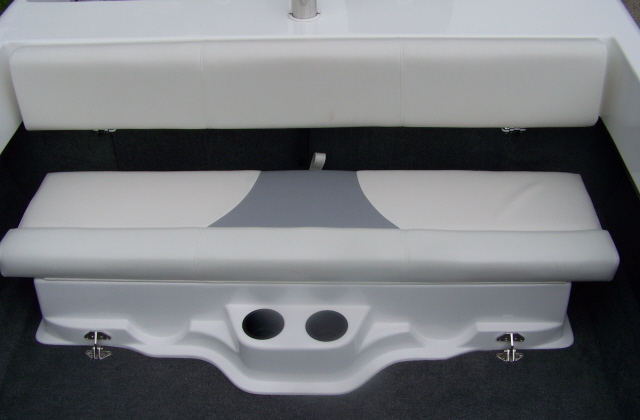 Most of our customers want a simple water ski boat even though the sky is the limit when it comes to a custom made boat's exterior and interior colors. 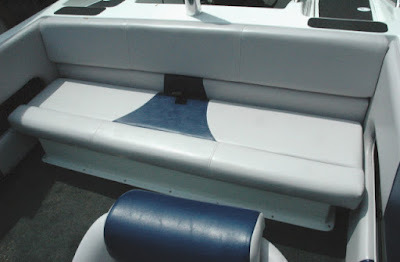 We can do any colors in the exterior or interior. 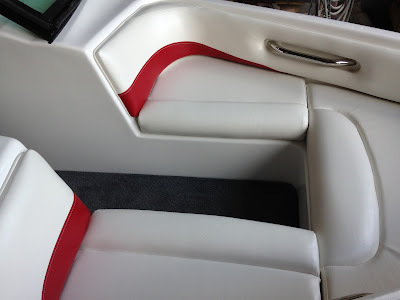 However ordering any custom colors adds to the cost and time frame. 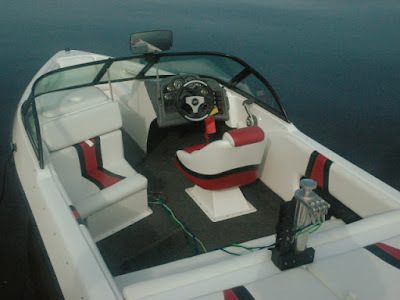 Here are examples of what we have done over the years. 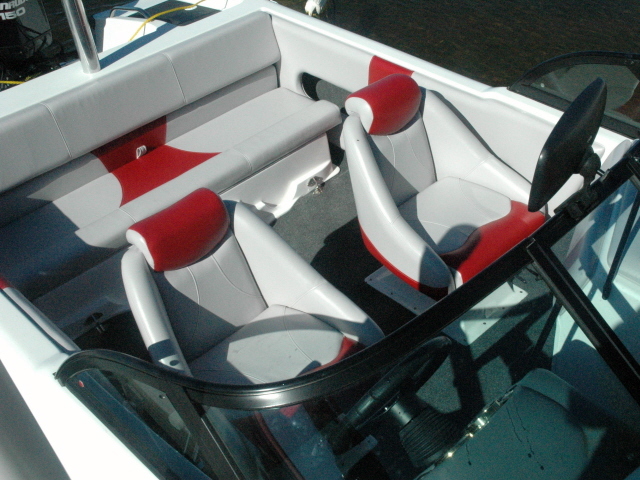 Two Color interior with a passenger bucket seat. Blue two color interior rear seat. Three Color Interior with a front passenger bench seat. Single Color Interior with wrap around rear seats. 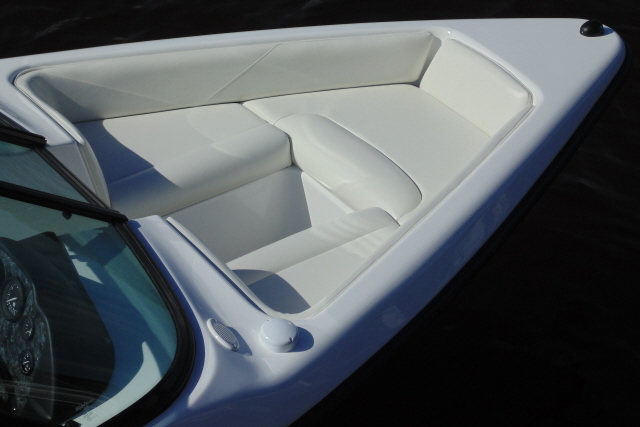 Owner did not want the grab handles in the front. 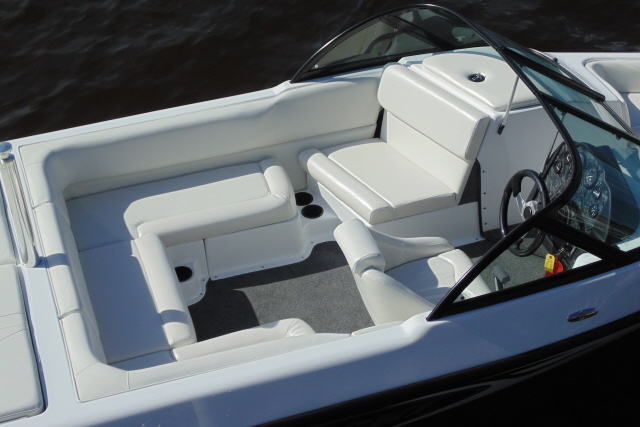 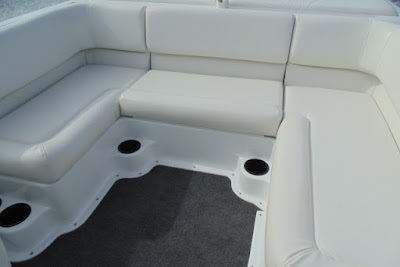 Two Color Rear Seat 20' Closed Bow. 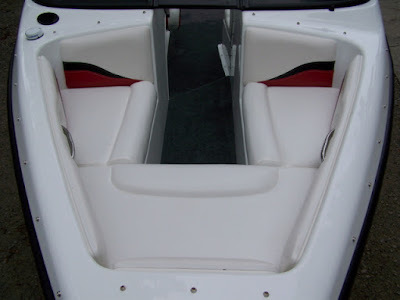 When a customer wants a sound system I will always tell them to buy it locally and/or install it themselves as the #1 problem with boats is often the sound system. It is hard to fix something like a sound system long distance unlike outboard motors which can be serviced by any authorized outboard dealer anywhere. 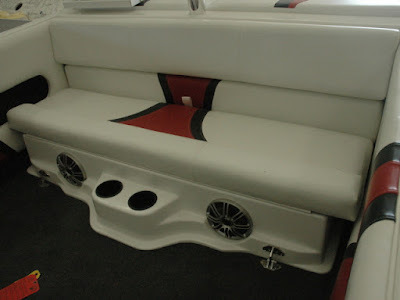 Most owners that want a sound system go with a four channel marine power amp and use an IPOD or their phone to provide the music. 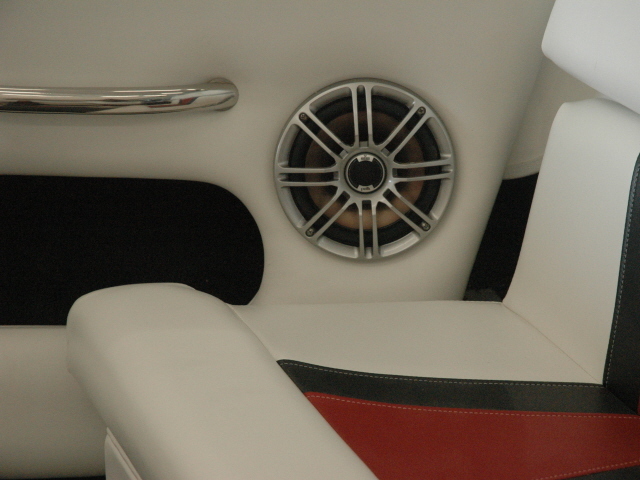 Several companies make excellent power amps and speakers that fit in a Dyna-Ski Interior. 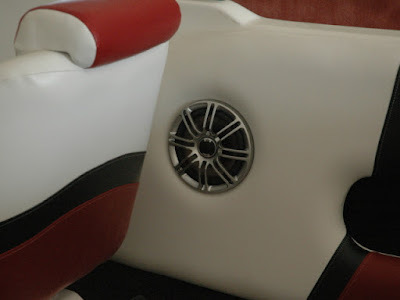 So now you have an overview of what we can do as well as the differences between the standard two color and optional three color and single color interiors along with an idea of where to put speakers if you gotta have them. Like everything else you pay your money and you choose.